The largest contributing factor to hair loss is genetics. Some studies show that nearly 80% of people who have pattern baldness have it because of their genes. (https://genetics.thetech.org/original_news/news100) Researchers have isolated a gene related to pattern baldness that can make a person more prone to developing baldness but lifestyle factors play a role also. Genetic predisposition to baldness doesn’t necessarily mean that you will become bald. But, it means that you should be careful in how you care for your hair and make sure that practice good self-care for hair health in order to keep your hair as healthy as possible for as long as possible. Even if you practice great hair care you may still end up losing your hair, but you will lose less than you would lose if you didn’t take good care of your hair. If you want to know if you are genetically predisposed to baldness all you really need to do is take a look at the men in your family to see if they are bald but you can also try a consumer genetic test to see if your genes make you more likely to lose your hair. Hormonal imbalances are another of the most common reasons why men and women face hair loss. When your thyroid isn’t working the way it’s supposed to it can cause your hair to start thinning and even make your hair fall out. Hypothyroidism, where the thyroid isn’t working the way it should so that your hormones are out of whack and your body doesn’t have enough of the hormones it needs, is very often the cause of hair loss and thinning in women, especially women approaching menopause. Hypothyroidism is often misdiagnosed so even women whose thyroid function tests put them in the normal range could be suffering from hypothyroidism and could start losing their hair as a result. Serious illnesses that require heavy chemical treatment, like chemotherapy, can cause hair loss and baldness although usually the hair will grow back once the treatment is done. If the treatment is not successful the hair loss may be permanent but it’s rare for that to happen. Illnesses by themselves can also cause the hair growing cycle to slow down leading to thinning hair and the slow replacement of hairs that are lost through normal shedding. Each person normally loses 50-100 hairs per day and if your hair is not growing the way it should your body won’t be producing the hairs necessary to replace the ones that are lost daily. Hair loss is, unfortunately, a normal part of aging for both men and women. As people get older taking good care of their hair should be a priority so that they can slow down the process of losing their hair as much as possible. But it is normal to lose some hair to experience thinning hair as you get older. It is not a myth that stress can make your hair fall out or make you bald. Being under chronic high-level stress will change your hormone balance and that can lead to hair loss. If you are under high levels of stress your body may also stop producing new hair. Biologically your body will put all its resources into protecting your health and keeping the important systems operating to make sure that you are as healthy as possible. So the hair growing process slows down in order to save resources. For women, the period after childbirth, or a stressful time like a divorce, can lead to hair thinning and hair loss. Your diet plays a large role in your physical health including in the health of your hair. If you are eating a poor diet and not getting the protein, vitamins and minerals that you need your hair will not grow in healthy and lustrous the way it should. You may notice thinning hair or you may start losing hair directly as a result of the poor dietary choices that you are making. Eating a healthy diet with lots of protein and healthy fat is essential for healthy hair. Anorexic people or people who don’t eat a healthy diet often see hair loss and thinning as one of the first signs that their body is not getting the nutrients that it needs. 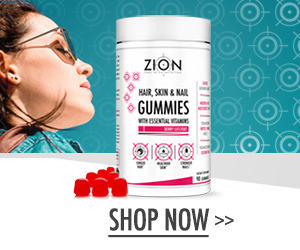 Hair and nails are great indicators of overall health. If your hair isn’t healthy or if it’s falling out or thinning you can be sure that you need to make some changes in the way that you eat. In order to keep your hair healthy, you should be drinking plenty of water and eating lean protein and healthy fats. Health fats include foods like walnuts, cashews, and other nuts as well as nut butters, avocado, olive oil, coconut oil, and natural oils. Although, vegetable oil is not a healthy fat and should be avoided. Stick to pure olive oil, coconut oil, almond oil, or other natural oils. Lean protein from fish, eggs, milk, and lean meats are ideal for promoting healthy hair growth and should make up a large portion of your diet. You should also stay away from heavily processed food and foods like lunch meats that are packed with sodium and nitrates. A Vitamin E supplement is also a good addition to your diet to help keep your hair healthy. The worst thing that you can do for your hair is brush or comb it when it’s wet. When you push a comb or a brush through wet hair you are actually causing tangles and pushing those tangles down the shaft of the hair putting pressure on the hair shaft. If you tend to get tangles in your hair, spray it with a detangling product when you get out of the shower and let it dry. Don’t brush or comb it until it’s dry. You’ve been probably been washing your hair every day since you were old enough to start showering every day but that is way too much washing for your hair. Unless you are a professional athlete that is working out for hours each day you don’t need to wash your hair every day and you should not be washing it every day. Most people can get away with washing their hair just 2-3 times per week. When your hair starts to feel oily or greasy then you should wash it but don’t wash it before that. Washing your hair strips the natural oils from your hair and can cause damage that keeps the hair from growing the way that it should. Ideally, you should not color your hair if you want to protect it. But, if you have been coloring it for years or you really like coloring your hair get the color done at a salon instead of using box color from the drugstore. The drugstore color is very harsh and can cause damage to your hair. And when you use box color you’re likely to use too much. In the salon your hairstylist will carefully apply color just to the new growth of hair but if you are coloring at home you’re more likely to put color all over your hair even if the hair doesn’t need it. That causes needless damage to your hair. After you get your hair colored or color your hair carefully at home make sure that you use a deep conditioning mask on your hair and a sealer to minimize any damage to your hair from the hair coloring process. You can’t change your genetic propensity towards hair loss, or the aging process. But taking better care of your hair, changing your diet, taking vitamin supplements, and managing your stress levels will help you ensure that your hair is as healthy as possible.